Q: What are the differences between the US Version and the original Italian Version? As far as I am concerned, Mario Bava is simply THE greatest Horror director who ever lived, and there are several reasons why. No other director has ever been capable of creating a haunting yet beautiful, dream-like atmosphere in the brilliant manner that Bava was, there is no other Horror director whose repertoire includes the most genuine masterpieces. The supreme master of Gothic Horror and undisputed inventor or the Ialian Giallo, Bava single-handedly launched the Italian Horror boom which resulted in Italy becoming the undisputed country Nr.1 in the Horror world. Italian Horror cinema found real international recognition after Bava's incomparable Gothic masterpiece "La Maschera Del Demoni" (aka. "Black Sunday"), probably my choice for THE greatest Horror film of all-time. 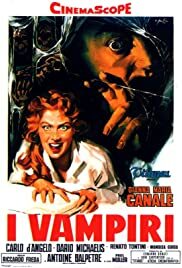 However, the milestone that launched the raise of Horror made in Italy in 1956 is this stylish and extremely elegant gem "I Vampiri". Horror films had been banned in Italy by the Fascist regime, and it was not until the mid fifties that this ban was withdrawn. The first post-WW2 Italian Horror film was directed by Riccardo Freda (another more than great director), Mario Bava was the cinematographer. When director Freda backed out from the project because he couldn't finish it in time, Bava jumped in and finished the film (even though he remained uncredited as a director). And what an accomplishment it is! The plot does not really revolve around traditional vampires as they would appear in other contemporary Horror milestones, such as the British Hammer classic "Dracula" of 1958. This film has another morbid formula that would become one of the most popular themes in European Gothic Horror of the early 60s. A murderer is on the loose in Paris, and since the bodies of his young female victims lack even a drop of blood in their bodies, he has been nicknamed 'The Vampire'. 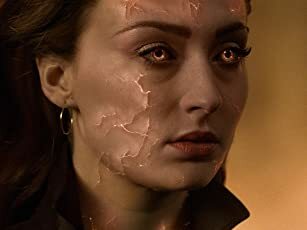 - I shall not give away more of the plot, only that it mixes elements of mad science with the supernatural. The story is wonderfully morbid and suspenseful, however, it is arguably the cinematographic style that is the most pioneering element of this great film. The budget was actually quite low, but Bava's brilliant sense for lighting, and especially, for the dark, as well as incredibly uncanny settings create the beautifully eerie atmosphere that we so love in Bava's later films. Especially the wonderfully dark castle is a haunting and beautiful setting for such a fascinating story. The performances are also very good, the greatest coming from director Riccardo Freda's wife Gianna Maria Carnale in a mysterious role. Prolific Eurohorror/Exploitation Paul Muller began his streak of demented characters with this milestone. Overall, "I Vampiri" is not Bava's best Gothic Horror film - "La Maschera Del Demonio" is, without doubt, and other masterpieces, such as "Operazione Paura" (aka. "Kill Baby Kill", 1966), "I Tre Volti Della Paura" (aka. "Black Sabbath", 1963) or "La Frusta E Il Corpo" (aka. "The Whip And The Body", 1963) also easily surpass it. However, it was this milestone that started Italian Horror. And what an elegant, haunting and fascinating milestone it is! An absolute must for every Bava fan, Horror-buff or lover of great cinema in general!